SAN MATEO, Calif.--(BUSINESS WIRE)--Levita Magnetics, a company dedicated to improving the outcomes of surgical procedures through Magnetic Surgery®, today announced that the U.S. Food and Drug Administration (FDA) has granted the company an expanded indication to market the company’s first-of-its-kind Levita® Magnetic Surgical System for use in bariatric procedures. Initially indicated for use in gallbladder removal procedures, the shaftless Magnetic Surgical System reduces the number of incisions necessary for the indicated procedures. The Levita System is designed to facilitate access and visualization of the surgical site, while minimizing invasiveness. In conventional laparoscopic procedures, shafted surgical instruments are introduced by fixed-position trocars inserted through incisions in the abdomen. The use of trocars is associated with risks relating to major bowel and vessel injury, incisional pain, bleeding, scarring, hernias and infection. In addition, shafted instruments can impair surgeon visualization by cluttering the operative field, cause instrument collisions, and restrict movement as a result of their fixed pivot point. The shaftless Levita System reduces the number of incisions and trocars necessary, while also providing surgeons the ability to move instruments without the constraints of a fixed-position pivot point. To date, patients have undergone Magnetic Surgery at leading clinical centers including the Cleveland Clinic, UT Southwestern Medical Center, Stanford University and Duke University, among others. The Levita Magnetic Surgical System enables reduced-port laparoscopic surgical procedures designed to minimize the footprint of surgery. The system, which consists of an external magnet placed on the skin that controls a shaftless detachable grasper, enables instruments to move without the constraints of a fixed-position pivot point, and facilitates access and visualization of the surgical site. 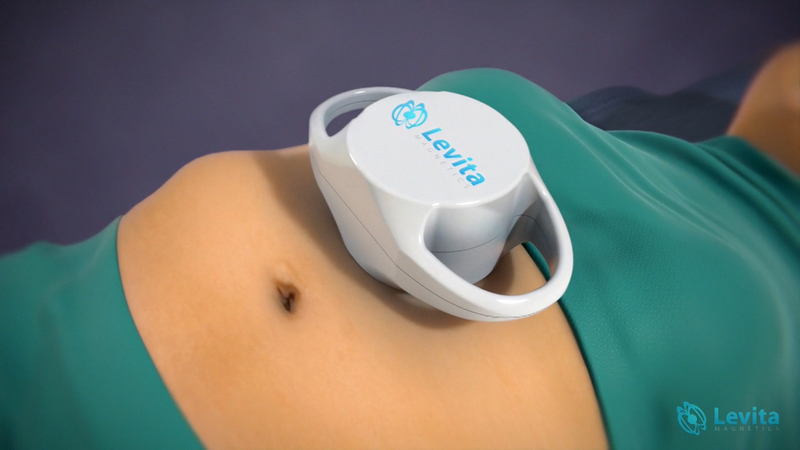 In the United States, the Levita Magnetic Surgical System is indicated to grasp and retract the body and the fundus of the gall bladder in laparoscopic cholecystectomy procedures and the liver in bariatric procedures to facilitate access and visualization of the surgical site in patients with a BMI range of 20-60 kg/m2. Headquartered in Silicon Valley, Levita Magnetics developed the first and only Magnetic Surgery® platform, the Levita Magnetic Surgical System. Founded by innovator and surgeon Dr. Alberto Rodriguez-Navarro, this proprietary technology is designed to evolve minimally invasive surgery with the goal of minimizing the footprint of surgery and improving patient outcomes. It is the first magnetic surgical system to receive CE Mark and FDA clearance. For more information visit www.levita.com.